Consider the benefits of a preventive maintenance program. Planned maintenance can extend the life of your equipment, reduce call-out repair expenditure and help prevent accidents and injury. Increase your productivity and reduce down time waiting for a service technician to appear. The specific information for each unit. Manufacturer, serial number, size, and type to facilitate quicker repair. Record of all inspections, servicing and repairs performed during the contract. From manufacturing to food distribution, dock leveling equipment can meet all of your material handling needs. We can provide standard dock levelers with capacities of 20,000 lbs. to 100,000 lbs., plus a full complement of standard options. 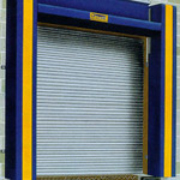 There is a dock leveler and related equipment to meet most every loading dock need. When dock levelers are installed with complementary products such as, dock seals, shelters, traffic doors, safety truck restraints, bumpers, lights and wheel chokes, you can be sure of the finest combination of dock equipment available. We can convert your old mechanical leveler to hydraulic operation, no more tedious and dangerous manual operation. Affiliated Force's easy to use Conversion Kits are the key for transferring those old mechanical Dock Levelers into fully hydraulic push button operated Dock levelers. Voltages available are 115/208/230 single, 208/230/460 volt three phase and 575 volt three phase. (1) Main Cylinder, (1) Lip Cylinder, (4) Mounting brackets, (2) 60" hydraulic hoses, (1) push button/motor starter, (1) power unit mounting bracket, (1) Velocity Fuse.